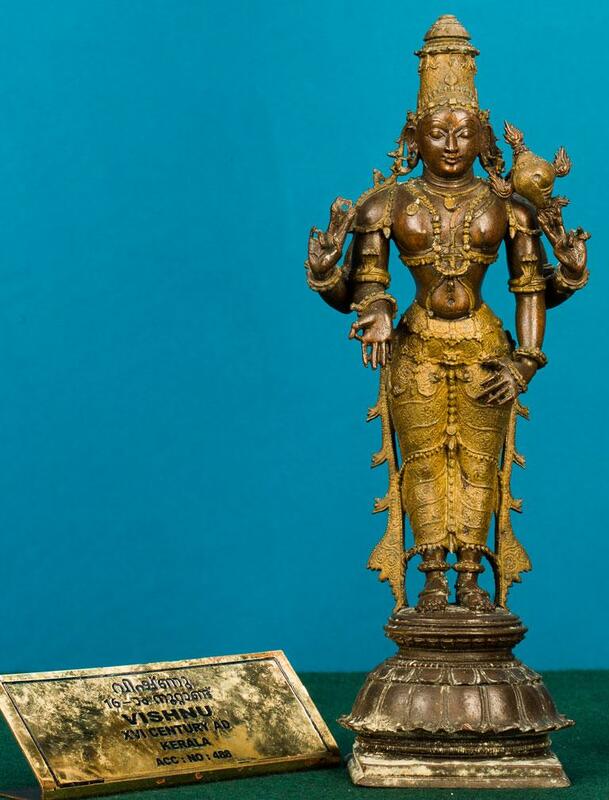 This is an impressive exhibit of Lord Vishnu standing on a lotus pedestal. It is a four-handed figure and the chakra is broken. The left back hand carries the conch. The front hands are in Varada and Katyavalambita pose. The sculpture is well decorated with all ornaments. Sreevatsa is clearly visible.